Agilent Technologies has announced six new models for its W1314A measurement receiver platform that offer expanded band coverage. They are designed to simultaneously measure all wireless technologies in all RF bands in a given market using a single unit. 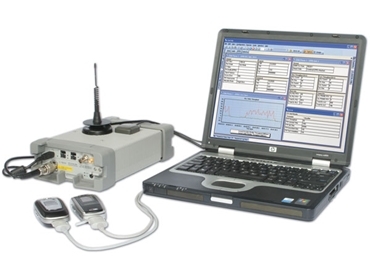 The Agilent receivers enable network equipment manufacturers and wireless operators' RF engineering teams to effectively deploy, optimise and troubleshoot all technologies in their own networks by quickly identifying coverage and interference problems. Even in the challenging environments, where it is difficult to see the sky, such as urban canyons and underground roadways, Agilent Technologies' integrated 50 Channel High Sensitivity GPS receiver maintains the performance in reporting position and measurement data. As hardware and operational budgets are squeezed from every angle, it is important to maximise the efficiency of drive test teams by providing reliable equipment that allows them to collect accurate RF measurement data with the minimum of hardware complexity. "As wireless networks add more technologies in more bands and providers have the same or fewer number of people to do the work, Agilent Technologies' objective is to arm them with RF optimisation tools that help them do their jobs easier and faster," said Jonathan Dunbar, general manager of Agilent Technologies’ drive test business. "With our ability to measure multiple technologies simultaneously and cover eight bands in a single unit, our new receivers bring wireless service providers the opportunity for a step function increase in drive-test efficiency."